For fleet managers of Class 7 or 8 trucks, keeping all the various lights on a trailer functioning properly is critical not only for safety, but also to avoid CSA fines/citations and having law enforcement pull the vehicle over for further inspection. 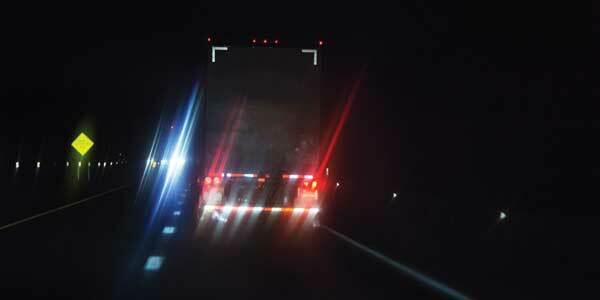 Fortunately, the industry has moved far beyond depending solely on inspecting every light utilizing a rigorous pre-trip checklist (which does not spot problems during the trip) and even beyond products that simply flash a light to indicate a lighting outage. In the more advanced systems available today, the real-time status of every light on the trailer can be transmitted via on-board telematics or wirelessly through Bluetooth, where it can be accessed through a smartphone app. Next-generation devices will go further to expand real-time monitoring, recording and communicating of trailer status. These will include, for example, conditions such as brake wear, ABS alerts, wheel-end temperatures, reefer fuel levels, interior temperature, humidity, barometric pressure and VOC sensing. Armed with this level of information, fleet and maintenance managers will be able to maximize safety and increase uptime, while minimizing CSA exposure as never before. In many of today’s sophisticated lamp monitoring systems, the system’s sensor continuously monitors voltage and current passing through a wire harness. The system is usually programmed to differentiate notable or sudden changes from those that are gradual and could be caused by lights warming up or ambient temperature conditions. While real-time lamp monitoring connected to on-board telematics facilitates speedy repair or replacement, one barrier to wider acceptance is the cost. Some of the available options utilize a model based on ongoing monthly subscriptions in addition to steep equipment costs. The subscription ostensibly covers the transmission and storage of data that will be collected over time and stored on servers or in the cloud. Fortunately, there are alternatives that do not require a monthly subscription. The data is still uploaded through cellular or telematics to the “cloud,” where it can be accessed by a smartphone app or a website. The only ongoing fees would be for the cellular service, if needed. The information is also available through immediate notifications through Bluetooth to a smartphone. Regardless of means of transmission, all data is transferred automatically to fleet maintenance personnel so drivers can focus on driving. One of the features that appeals most to fleet managers is “geo-fencing,” an advanced feature that allows for the automatic uploading of trailer lighting and electrical system information and alerts for priority attention. Geo-fencing allows a virtual geographic boundary to be established around a specific location, such as a facility or repair depot. When the geo-fence is crossed and there is a known lamp or light outage, the system can be programmed to automatically trigger a warning via email or text message to appropriate personnel. As an example, once the tractor-trailer crosses the established geo-fence, the maintenance manager is immediately notified, so a work order can be scheduled while the trailer is at the facility. If there are multiple maintenance managers, due to multiple work shifts, then it can be routed to the one currently on duty, avoiding any delays in the maintenance process. Accomplishing this involves installing a geo-fence gateway device at the facility, usually near the front gate along with equipment that is installed in the nose-box of the trailer. When trailers roll come within ¼ mile of the geo-fence gateway, the information is automatically uploaded. This approach could even be used to allow for automatic electronic ordering of replacement lamps, if desired. In this way, adequate inventory could be supplied without excess and without the required parts being out of stock, which would delay replacement. This type of approach is more effective on a fleet-wide basis than trying to phone in lamp outages to the maintenance manager on an individual basis, when operators may be thousands of miles and days away from the nearest repair facility. In contrast to companies that charge monthly subscription fees, such services are available with no added cost besides a small annual fee for the gateway device. The cost is nominal when spread out over a typical fleet. With such an open approach, the equipment can even cost less than systems requiring expensive monthly subscriptions for data access using proprietary devices. While the focus has been on identifying light-out conditions so far, systems are now in development that will also monitor items such as high-current, intermittent lamp, and disconnected/reconnected harness detection. In the industry, such capabilities are expected to be available as soon as next summer for heavy-duty trucks including dry and reefer vans, utility vehicles and truck bodies. 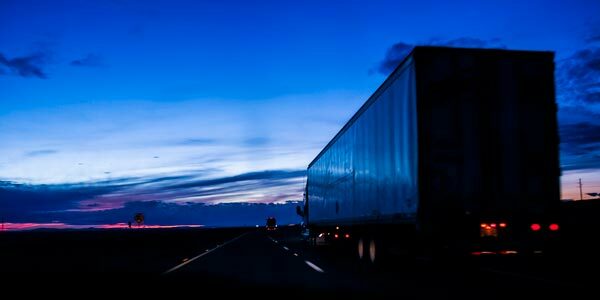 However, real-time fleet management is moving far beyond trailer lighting to other aspects of the trailer, including monitoring, recording, and communicating the condition of trucks and truck bodies as well. When it comes to safely maintaining the trailer and keeping it fully operational, fleet maintenance managers will soon get help in a wide range of areas. As an example, as part of a pre-trip inspection, the use of radar could quickly establish payload quantity for tankers by determining how much liquid is in the tank. Similarly, sensors are being developed that will determine the remaining cubes available in dry and reefer vans. For sensitive loads, trailer interior temperature, humidity, barometric pressure and VOC sensing will be monitored. For trailer safety, trailer mileage and wheel-end temperatures will be monitored. Wheel-ends, including the spindle, hub, rim or wheel and bearings and fasteners, work together to retain the wheels in place and the tires running straight and true. To ensure easy trailer loading and unloading, the condition of the lift gate battery and how many times the lift gate has gone up and down will also be monitored so it can be properly maintained. In an effort to improve fuel efficiency, even boat tail deployment will be tracked, since this can improve truck aerodynamics on the road. When it comes to the truck and truck body, a wide variety of safety information will be tracked and managed to ensure proper operation and timely maintenance and repair when required. For example, brake wear could be monitored by measuring the stroke on the caliper, so brake condition will not escape notice if maintenance is required before the next scheduled service interval. Because proper post-trip inspection does not always occur, automatic monitoring will also help and is now being developed. The reality is that any emergency braking can immediately damage the truck’s braking system, but may not always be relayed to the maintenance supervisor because the driver may not want to be blamed or have extra scrutiny brought to his or her driving habits. As a solution, systems are now being developed that will allow ABS alerts, emergency braking, and even potentially catastrophic events such as roll stability incidents to be recorded and texted or emailed directly to the maintenance supervisor for prompt follow up. 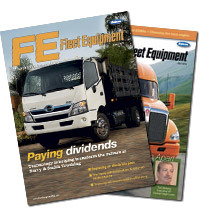 With all these changes to the industry now in the pipeline, how can truck fleet managers cost efficiently prepare themselves for what is coming? One way is to stay up to date with industry trends, so as not to fall behind. Another way is to invest in equipment that is easily upgradeable as technology inevitably advances. As each generation of more advanced equipment comes out, fleet managers do not want to be caught having to constantly purchase new equipment. To maximize ROI and the bottom line, it is wiser to purchase a system that is designed to be upgraded through software updates. As a practical matter, systems are already available today that will keep the fleet on the road while simplifying and facilitating maintenance for many years to come. With the next generations expanding the critical aspects monitored, fleet and maintenance managers are sure to reduce serious maintenance and downtime issues more proactively. 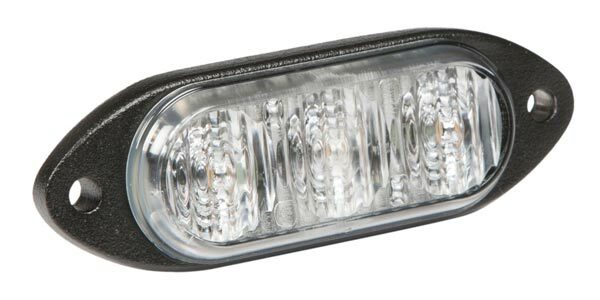 This article was contributed by Kevin Cornelius, the global market manager for trailer and body at Grote Industries, a manufacturer of lighting and safety equipment for trucking fleets.